Hope you're all doing really well and that you're enjoying your weekend. I'm coming at you today with weekly favourites since I'm really impressed with some of the products I just tried this week and thought it would be nice to share. Btw how is the weather like where you live? In the morning it lightly started to snow (luckily it stopped now) and I'm not impressed haha. I'm not a particular fan of snow and cold. Anyways, here are some beautiful products I want to bring to your attention. 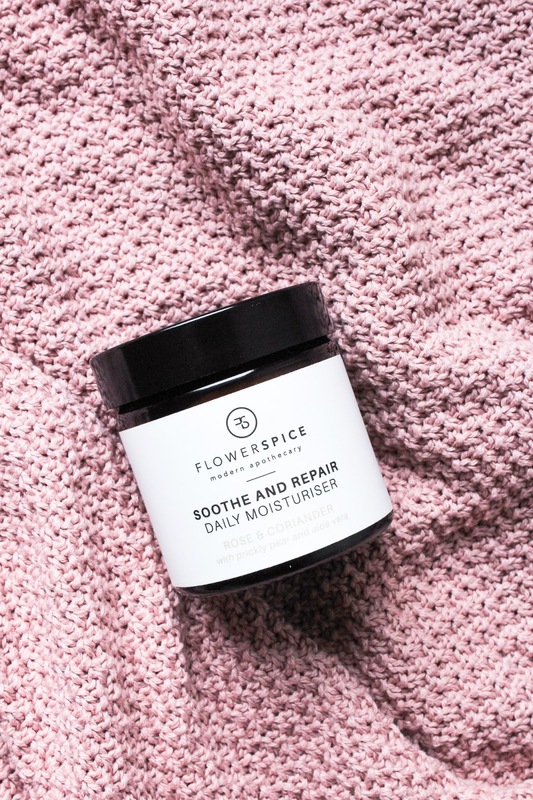 Flower and Spice Soothe and Repair Daily Moisturizer*. You guys, this moisturizer is so amazing! 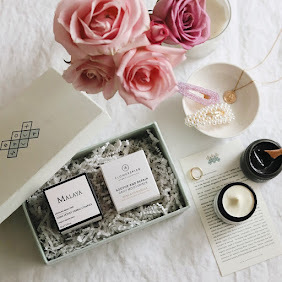 I wrote about Flower and Spice before (see here) and I also mentioned this product here as well, but just to say it again - this beautiful skincare line was founded by a fellow Slovenian Karmen Novak, who now lives in the Netherlands. 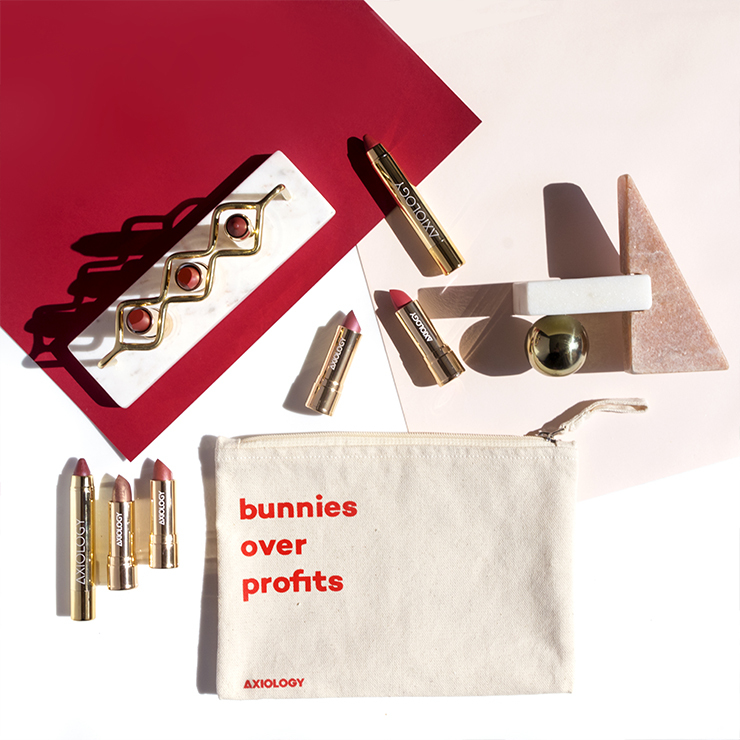 I have had a pleasure of trying out all of her three products and they are so SO nice. I think it was about two weeks ago when I started noticing my skin was looking all dull and patchy. I decided to revisit the Soothe and Repair Moisturizer which I previously used as a nighttime cream and omg this cream transformed my skin! This absolutely stunning moisturizer took care of my dry patches immediately and ever since then I've been using it every single day. 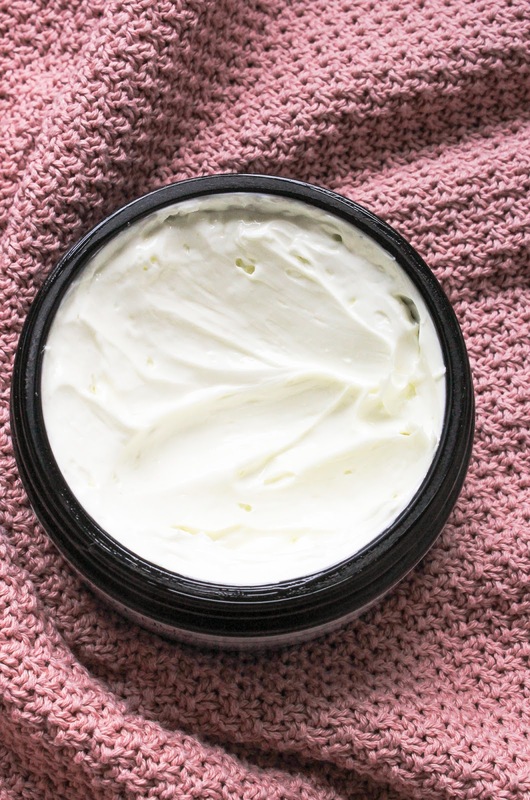 This cream is formulated with Swiss Mountain Spring Water, Rose Water, oils of Apricot, Prickly Pear, Shea Butter, Oat Extract, Aloe Vera and more. It has this super lush and extremely creamy consistency which cocoons my skin and is so lovely to use. It beautifully sinks into the skin and deeply hydrates and nourishes it and it doesn't clog my pores which is an absolute dream. It actually has a perfect name because I do find it soothing and repairing. I'm really blown away with this moisturizer and I highly recommend it, especially for this time of year. You can get Flower and Spice Soothe and Repair Daily Moisturizer here. 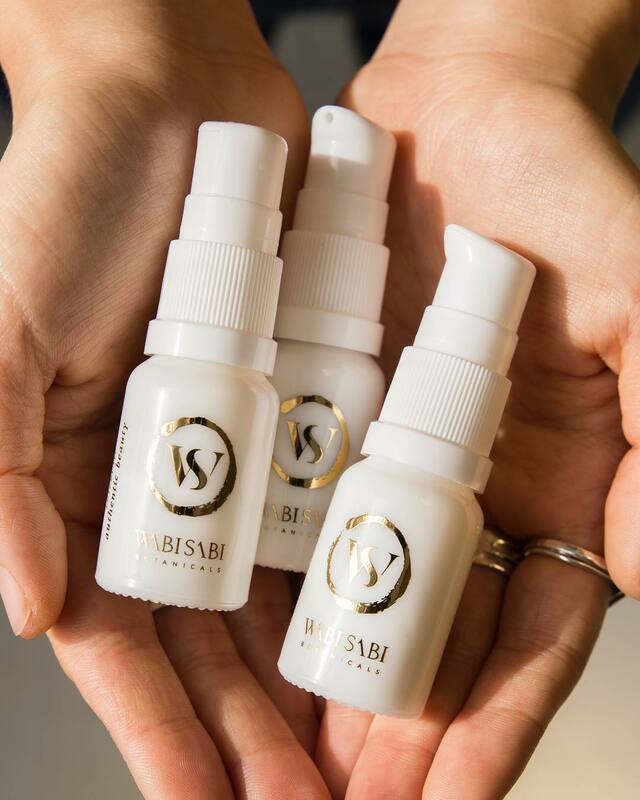 Wabi-Sabi Botanicals Light Reveal Targeted Treatment Serum*. I have used many oils in the past and upon first application of this serum I was like omg I love you already! 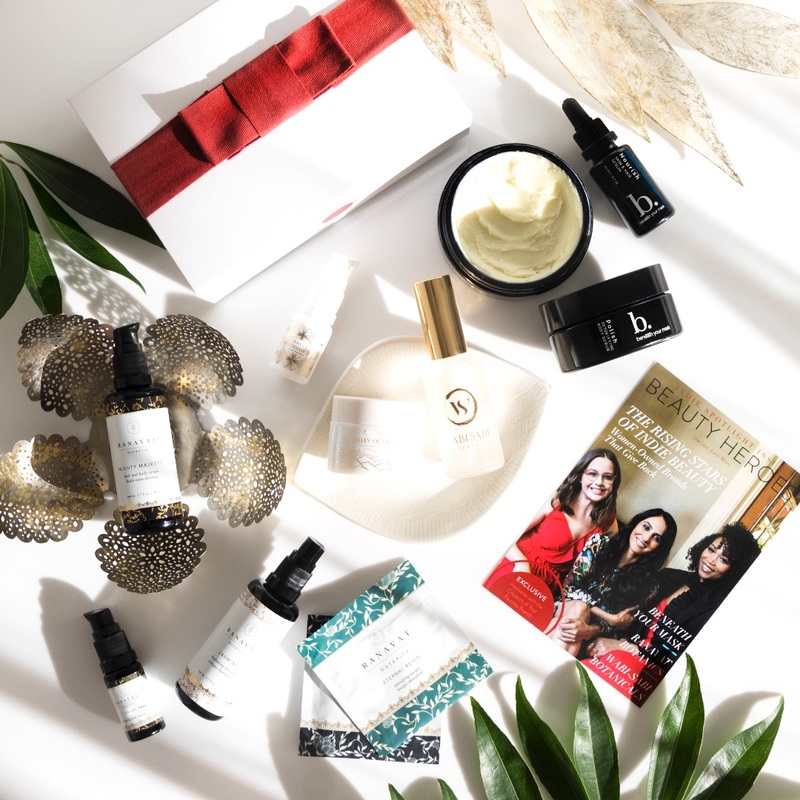 Well to be honest I was (and still am) feeling this way for the entire Wabi-Sabi Botanicals Indie Beauty Discovery* by Beauty Heroes, which features two more of their products: The Offering Ageless Ritual Facial Mist and Valley of Light Illuminative Mask. They are all so gorgeous! 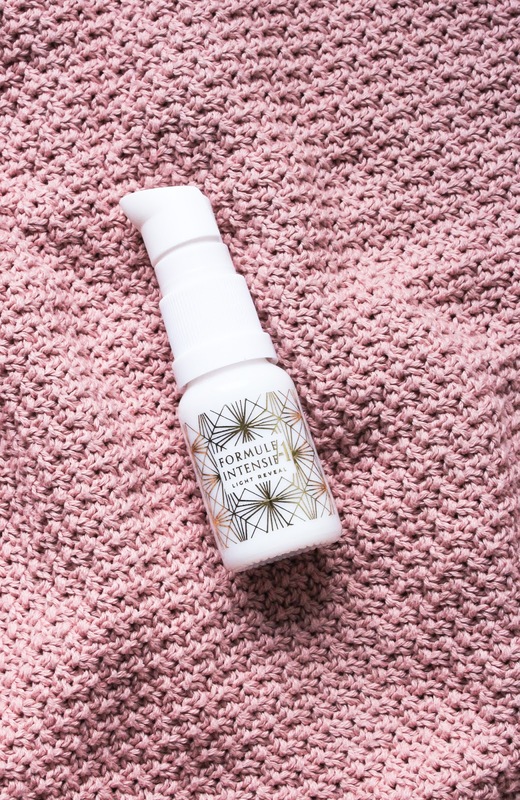 Light Reveal is this cute little oil (10 ml) which you use as a treatment oil, meaning that you mix it with your favourite facial oil or balm or cream. 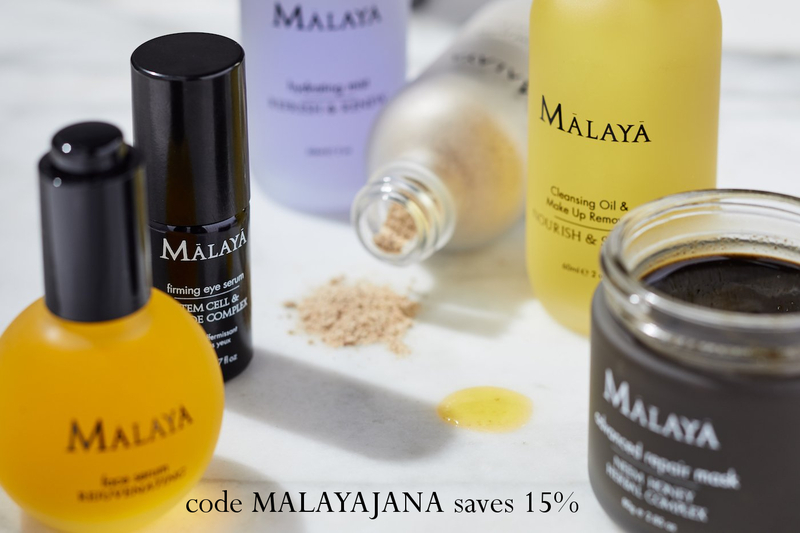 In the morning I have been using it with Maya Chia Supercritical Omega-3 Chia Face Oil* (from Level Up Discovery with Sarah* by Beauty Heroes) and in the evening with my favourite oil ever, the African Botanics Fleurs d'Afrique from the August Boxwalla Beauty Box* (review here). But the first time I used a drop of Light Reveal on its own so that I could get the feeling what kind of an oil it is. I was so surprised! First of all I had a bit of a hard time getting it out of the pump. This was due to the shipping and cold temperatures but also the oil itself is very thick, almost like a small amount of butter would be in it. I mean the pump works perfectly now, it was just that first time due to the cold. The oil has a thicker consistency but it is extremely lightweight, like really featherlight. 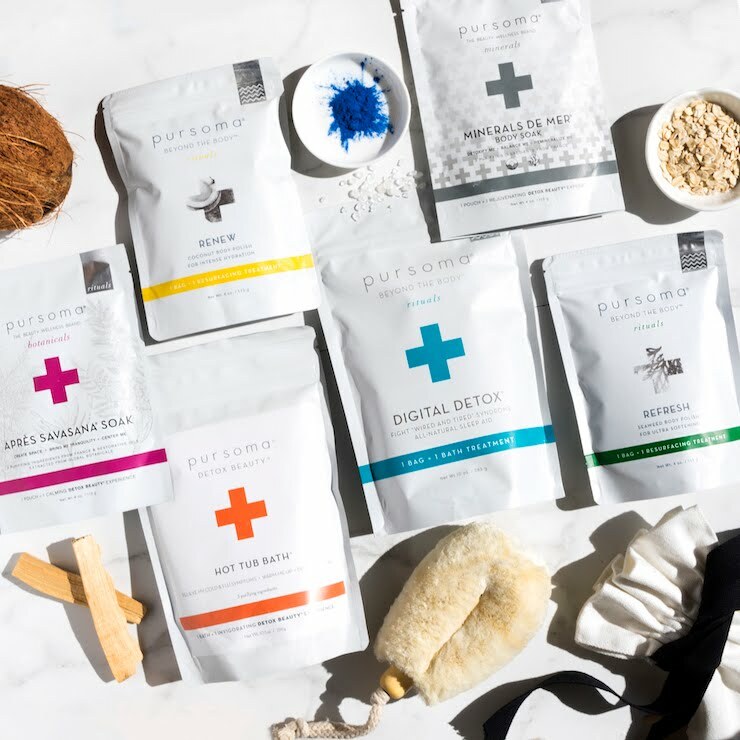 It contains only a few ingredients: Andiroba Oil, Guarana infusion (Guarana is the highest known natural source of caffeine in the world), Pequi Fruit, Buriti and Sea Buckthorn Oils. It has the most gorgeous vibrant orange colour, which you can actually kinda see through the white glass packaging. Or is that just me? The colour is amazing! And what else is amazing? The scent! It is intoxicating. Sweet and fruity. The scent is making me want to eat this oil haha. 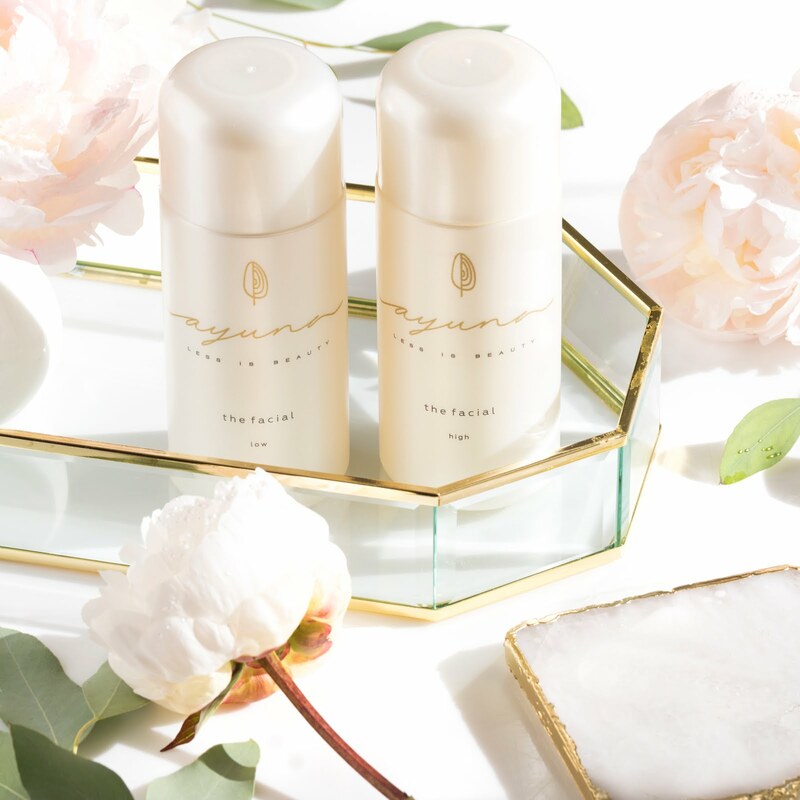 Light Reveal doesn't contain any essential oils, the scent comes from aromatic Pequi Fruit Oil sourced in the Brazilian Savanna. The serum promises to reverse free radical damage (the #1 cause of hyper-pigmentation) and give your skin a luminous glow. 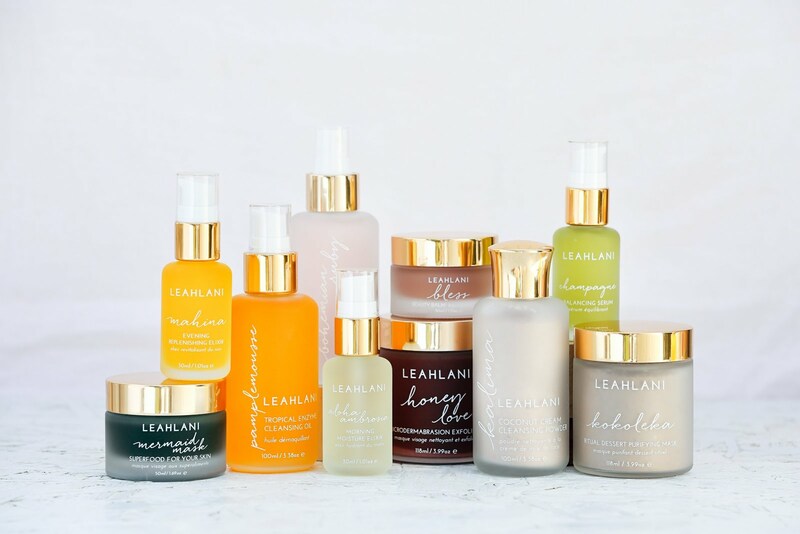 I will never say no to a product that will brighten and lighten my skin. 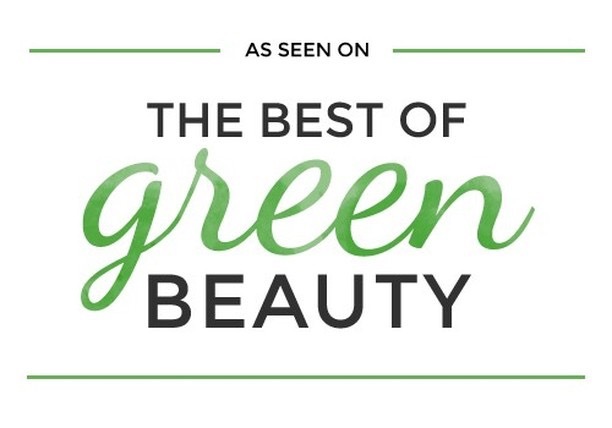 This oil is a beautiful addition to my current skincare routine and even though it's too soon to talk about a massive difference in my skin, I have very high hopes for it, especially after using their Age Gracefully* serum from the September Art of Organics Clean Beauty Box* (review here). Elysse, the founder of Wabi-Sabi Botanicals truly knowns what she is doing (and is also the cutest!). 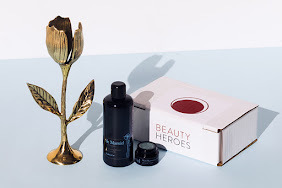 You can either get Light Reveal Targeted Treatment Serum Serum here or you can find it in one of the newest limited edition discoveries by Beauty Heroes (see here). KHUS + KHUS Rasa Restorative Potion*. 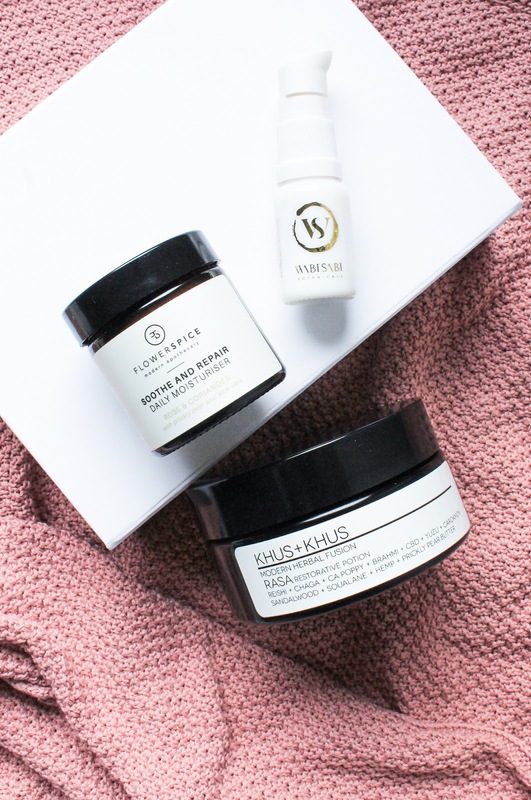 I fell in love with KHUS + KHUS when they were featured in a Beauty Heroes box (I talked about their Bleu Body Wax here and Sans Age Face Serum here) and you better believe I was excited to try their new product Rasa Restorative Potion. In its essence this is a body butter but is SO much more than just a body butter. Rasa is formulated with ingredients that you just don't find in many products and that is what makes this product unique. The formula combines the immense power of adaptogenic herbs as well as well known Ayurvedic and Western nervine herbs to produce an overall balancing effect on the nervous system. There are Hemp Seed, Prickly Pear and Arnica Butters, Reishi and Chaga Mushrooms (did you know that we share half of our DNA with mushrooms? ), California Poppy and CBD. I don't think I ever mentioned it but I love taking CBD oil (I have one from HempTouch*) for my back or hip pain (I have scoliosis so sadly it's quite normal for me to experience some daily aches) and CBD oil really helps with reducing pain (stretching and yoga too). I know that many love to take CBD oil to help with their sleep or anxiety and there is just loads of benefits of taking CBD oil. But back to Rasa. 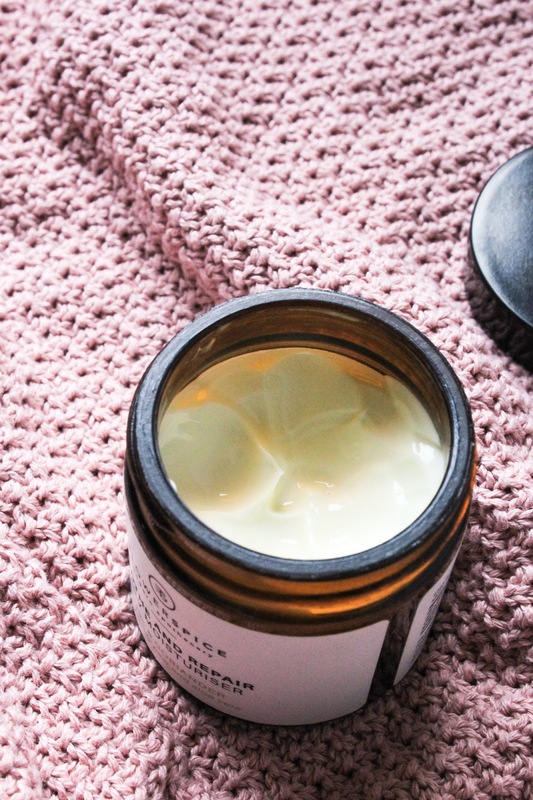 This super luxurious body butter has a really yummy scent of Cardamom, Yuzu and Sandalwood - it's a warming scent that you just want to apply all over your body asap. The consistency is amazing, very luscious and buttery and creamy, it's so good! And the best thing? It makes my skin so soft that I can't even express it! Lots of body products make my skin soft but Rasa is on a whole nother level. If you want the softest skin ever then Rasa is the way to go. 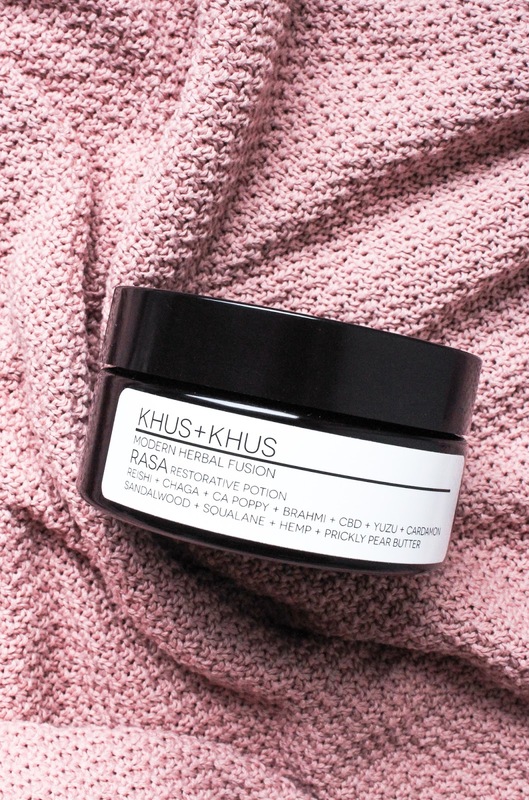 As far as I can tell Rasa Restorative Potion isn't available at KHUS + KHUS' website (see here) but you can get it via Credo Beauty here. Since I'm already talking about favourites, last week I started re-reading Harry Potter's books again and I love them so much still. Well actually this time is the first time I'm listening to the books and it's going great! I'm listening to the version read by Stephen Fry and I love it. I'm on the fourth book already and I'm obsessed. I haven't been listening to any of my usual podcasts, just the books. And I'm always looking for new things to clean or something to do haha just so I have an excuse to listen. Another thing from the popular culture I've been into this weekend is the new season of Narcos. Just watch it okay, it's very good! Okay that's all from me today. What are some of your favourites from this week? As always if you have any questions let me know.